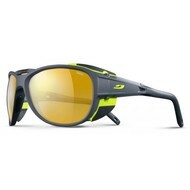 Julbo is a brand of sports glasses founded in 1888 in Morez, which is in the Jura. 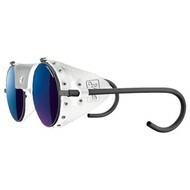 The company took the name of Julbo in 1954. 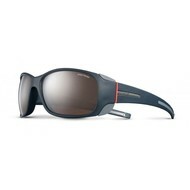 Julbo is an expert in solar eye protection. 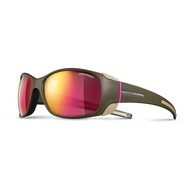 They specialize in high-performance sunglasses, and ski goggles. 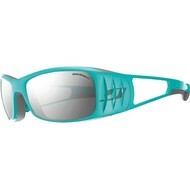 Climb On Equipment carries a variety of polar sunglasses and glacier glasses from Julbo. Jules Baud started his business designing optical eyewear with one idea in mind: innovation. In the early 20th century, at the request of Chamonix crystal hunters wanting to protect their eyes in the mountains, he designed the first "Cristalliers" sunglasses, marking the start of Julbo’s optical sun protection story. 125 years later, Julbo will be releasing new ranges and new products but always with that same taste for adventure and freedom that allows everyone to see the world even better!